Since 2005, Sparkling Faith Cleaning Services LLC have been regarded as the cleaning experts who specialize in furniture and upholstery cleaning in Tampa Palms. Our qualified Tampa Palms furniture cleaners are extremely effective cleaning furniture so that what once looked old and worn will look like new again. Sparkling Faith Cleaning Services LLC technicians take the proper steps for cleaning upholstery to extend the life of your Tampa Palms furniture. Tampa Palms upholstery furniture cleaning by Sparkling Faith Cleaning Services LLC is a guarantee that you invested in quality service. Our cleaners also polish furniture to rejuvenate the wooden, lacquer or metal finish to its original glory. Driven to excellence, we’re Tampa Palms's most respected and affordable furniture cleaners. Call Sparkling Faith Cleaning Services LLC at (813) 322-2139 to learn more about furniture cleaning in Tampa Palms FL. Sparkling Faith Cleaning Services LLC will clean Tampa Palms furniture at your house or business focusing on stain and odor removal. You can say goodbye to tough stains and unwanted odors on your sofas, chairs and upholstered furniture. Tampa Palms residents know that over time the high use areas, such as family rooms, living rooms and reception areas for businesses have furniture that’s spotted with stains from multiple spills and accidents. Sparkling Faith Cleaning Services LLC offers a Tampa Palms furniture cleaning service which is affordable to homeowners and business owners alike. Depending on the fabric, Sparkling Faith Cleaning Services LLC will dry clean or steam clean upholstery in Tampa Palms so that it’s fresh and stain-free. Don’t sit on another stained sofa! Call Sparkling Faith Cleaning Services LLC at (813) 322-2139 now and we’ll be happy to discuss cleaning your Tampa Palms furniture. Sparkling Faith Cleaning Services LLC uses high performance upholstery cleaning products which remove dirt but won’t harm or fade your furniture. When we clean upholstery, Tampa Palms homeowners can be assured that each fabric is pre-tested with our proven solutions for upholstery cleaning. Tampa Palms Florida residents always look to Sparkling Faith Cleaning Services LLC when they want upholstery cleaning done carefully and flawlessly. Your Tampa Palms upholstery steam clean will be done meticulously by our Tampa Palms upholstery cleaners to transform your furniture to "like-new" condition. For over 14 years, our Tampa Palms furniture cleaners have proven their exceptional value. Upholstery of natural fabrics, leather or synthetic fabrics (like microfiber) clean up perfectly when using Sparkling Faith Cleaning Services LLC’s Tampa Palms upholstery cleaning service. We are the Tampa Palms cleaners furniture owners trust to do a thorough and professional job. 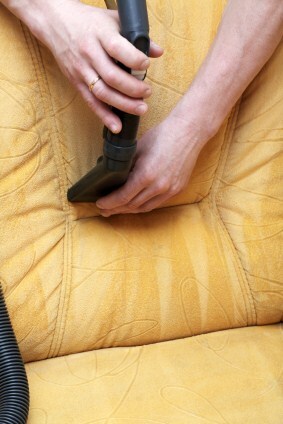 Call Sparkling Faith Cleaning Services LLC at (813) 322-2139 to learn about upholstery cleaning in Tampa Palms FL.